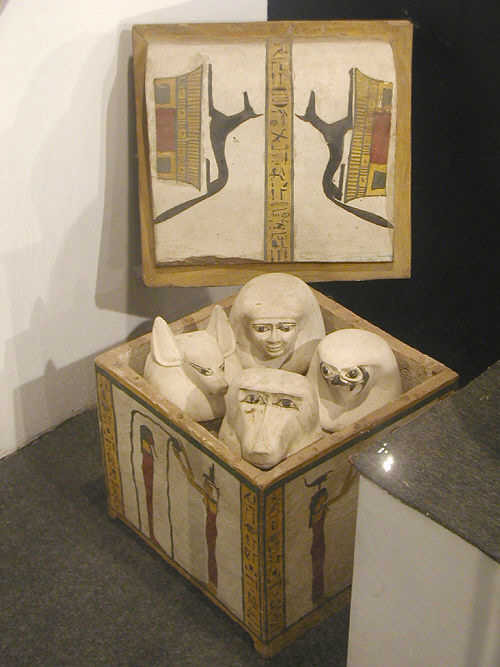 A canopic box and jars from the the tomb of a priest of Monthucalled Pady-imenet. 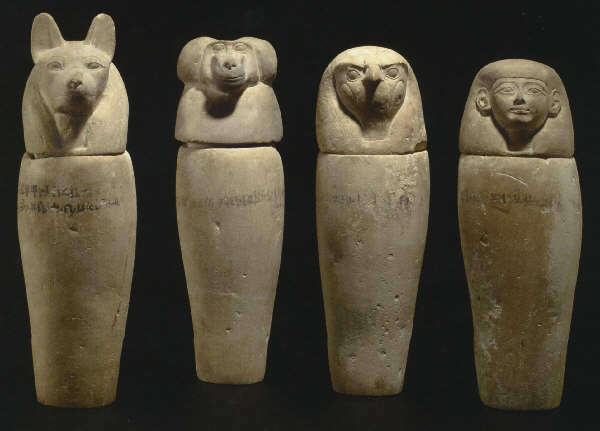 From the 22nd Dynasty. 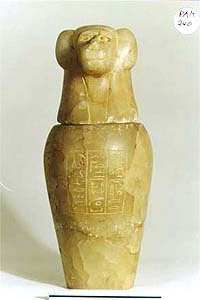 Luxor Museum. Egypt. Sotheby's. November 2005. 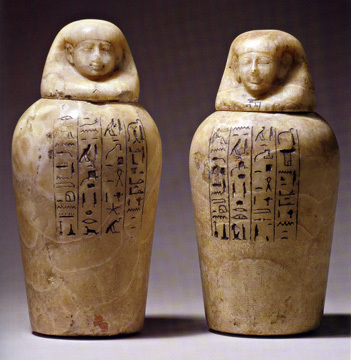 Pair of Egyptian alabaster canopic jars from the 19th Dynasty, 1292-1240 B.C. One is 16 1/2 inches high and the other 16 3/16 inches high. It sold for $60,000.